The Society of Composers, Authors and Music Publishers of Canada (SOCAN) proposed two tariffs (Tariff 22.D.1 and 22.D.2) for the collection of royalties for musical works performed as part of audiovisual works transmitted over the internet. Several stakeholders including Facebook, Netflix and Bell objected and made submissions in opposition to the proposed Tariffs. On July 18, 2014, the Board rendered its Decision allowing the SOCAN Tariffs. (b) Whether relevant comments or arguments made by former parties and non-parties have been addressed. Since the Settlement Agreements here involved some of the biggest players, including Apple, Bell, Rogers and Cineplex, the Board found that the parties to the Agreement were sufficiently representative of the interests of other users. It also found that those objectors who were not party to the Agreement had ample opportunity to make their submissions. The Board also noted that the rates fixed in the Agreement were the fruit of extensive negotiations between skilled and savvy counsel. Several grounds were raised by the objectors. Among them, Facebook and Netflix’s arguments bear some discussion. Facebook argued that it has a strict copyright enforcement policy and has implemented software to make sure that any protected uses of copyrighted works are prevented from being uploaded to its network. Facebook noted that any use of copyright protected works not caught by its software would qualify under the new UGC exception found at s.29.21 of the Copyright Act. Facebook also argued that an “audiovisual page impression” (defined in the Tariffs as “a page impression that allows a person to hear an audiovisual work”) should only give rise to a royalty when the work in question is actually viewed or heard. The wording of the Tariffs make it so that once a web page that contains the audiovisual work is loaded, a royalty is payable regardless of whether the work is ultimately accessed or not. The Board rejected the first argument out of hand. Whether Facebook’s activities would fall under the Tariffs is irrelevant. The Copyright Board sets tariffs of general application. If Facebook does not feel its activities fall under these Tariffs, it does not have to pay royalties until a court of competent jurisdiction says otherwise. To say that the Tariffs should not be allowed because it does not apply to Facebook is a non-sequitur. The Board also rejected the argument on page impressions. It simply said that SOCAN’s proposed method of calculation was acceptable and consistent with other Tariff 22 classes. 1) The free trial is fair dealing for the purpose of research along the lines of the Supreme Court of Canada’s decision in SOCAN v. Bell (discussed here). In that case, the issue before the Court was whether the sampling of 30-90 second excerpts of musical works constituted fair dealing for the purpose of consumer research. 2) Paying SOCAN for free trials of the service would cause double compensation contrary to the principle of technological neutrality as set out by the Supreme Court in ESA v. SOCAN (discussed here). On the fair dealing argument, the Board found the analogy between Netflix’s free trial period and the song previews in SOCAN v. Bell to be tenuous. There is a big difference between a low quality sample of a portion of a song and a high-quality, full version of a television show or movie. The Board also declined to look any further into fair dealing as no one (including Netflix) led sufficient evidence to make such a determination. Overall the Board’s decision appears to be reasonable. Its rejection of Facebook’s argument regarding page impressions strikes me as a little dubious. Is there some technological reason why royalties should be calculated this way? Surely it would be more accurate to track the number of clicks received by the media player on the page than the raw number of times that the page is loaded. Some dynamic webpages have auto-refresh features that refresh parts of the page while leaving other parts untouched. This may skew results in favour of more compensation. Still, this outcome seems far from unreasonable. Netflix’s argument based on technological neutrality was puzzling. It asserted that allowing SOCAN to collect royalties for free trials would lead to “double dipping” (presumably because Netflix would have to pay a different royalty rate if the free user eventually subscribed). This seems a little simplistic. Surely Netflix is capable of –and certainly is- monitoring which free users eventually subscribe to its service. What is so difficult about subtracting the free trial royalty rate from the higher subscriber royalty rate and paying SOCAN that amount? To take a basic example, assume that the free trial royalty rate is $12/year (or $1 for a one-month free trial period) and that the regular royalty rate is 5% of the subscription fee which is $25/month. This would produce an annual royalty of $15 per subscriber. For a subscriber who takes advantage of the free trial month and then signs up and pays the subscription fee for the rest of the year, all you have to do is subtract the free trial month amount ($1) from the annual royalty ($15) in order to assure that SOCAN is not paid twice for the same period of time (once at the free trial rate and once at the full rate). While Netflix’s argument was ill-founded, I think the Board may have made a mistake in its reasons. Instead of rejecting Netflix’s argument for the reason set out above, the Board justified its decision by noting that in reality, video rental stores never offered free trials. It reasoned that given the lack of an analogue to Netflix’s free trials in the offline world, the latter’s argument based on the Supreme Court’s establishment of the principle of technological neutrality in ESA was moot. The Board is essentially saying that technological neutrality only applies when there is an alternative technology that has been marketed to the public to compare the technology in question to. That need not necessarily be the case. There is nothing in the Supreme Court’s decision in ESA that limits the principle of technological neutrality to comparing extant (or previously extant) business models. This view cheapens the value of this interpretive principle. Take the facts from SOCAN v. Bell as an example. In that case, users could access previews of songs by clicking an icon on a service provider’s website. That decision has nothing to do with technological neutrality. However, for illustrative purposes, assume one of the parties wanted to make an argument for more or less compensation based on the principle of technological neutrality. They would have to come up with some analogous technology to the service provider’s website. One potential analogue to the website could be a business method by which music stores send individuals door to door with samples of music they have for sale. The sales representative would play the samples on CD’s or some other physical media; kind of like the Avon lady, but for music. To the best of my knowledge, this “Avon lady” sales model was never employed by record stores. This should not matter. 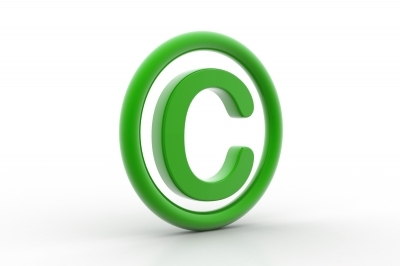 This method of distribution is conceivable and therefore ripe for comparison for copyright purposes. This hypothetical technological analogue theory has not been addressed in the case law. In ESA, the Court was comparing two modes of distribution (online digital delivery and shelf display in stores) that do in fact exist side by side. The Court in ESA did not expressly state whether the technological alternatives being compared must be ones that not only exist, but have been implemented in commerce. Given the Act’s statement of the s.3 right as the right to produce or reproduce a work “in any material form whatever”, the lack of limiting language in the Court’s decision should not rule out hypothetical technological alternatives concocted for the purpose of comparison. In that regard, the Board gave the principle of technological neutrality a more narrow interpretation than the one expressly prescribed by the Supreme Court. Finally, whether this decision is appealed to the Federal Court of Appeal is an interesting and open question. While it appears that the Board’s decision is reasonable, in light of the Majority of the Supreme Court’s ruling in ESA, the decision may be reviewed, at least in part, on a correctness standard.